The way ’tilt shift’ works fascinates me because it’s a subconscious process of the brain. The brain knows more about photography than what most people assume. Tilt shift mimics”macro photography” by using blur in the foreground and background of the image. Our brains know that this kind of blur is a signal that ‘the scale must be something small’ even though some people rationally have no idea how macro photography looks. Subconscious our minds are fed so many images in a day, that our brains are very good in ‘categorizing’ images, and thus fooling us when it comes to ’tilt shift images’. I guess, if you would show a ’tilt shift’ photo to a caveman (or somebody who has seen no photography) he would not share the ‘miniature feeling’. (He would probably not even grasp the concept of ‘a picture of reality’). For ‘New York resized’ I used a home made adaptor to create the blurry effect. 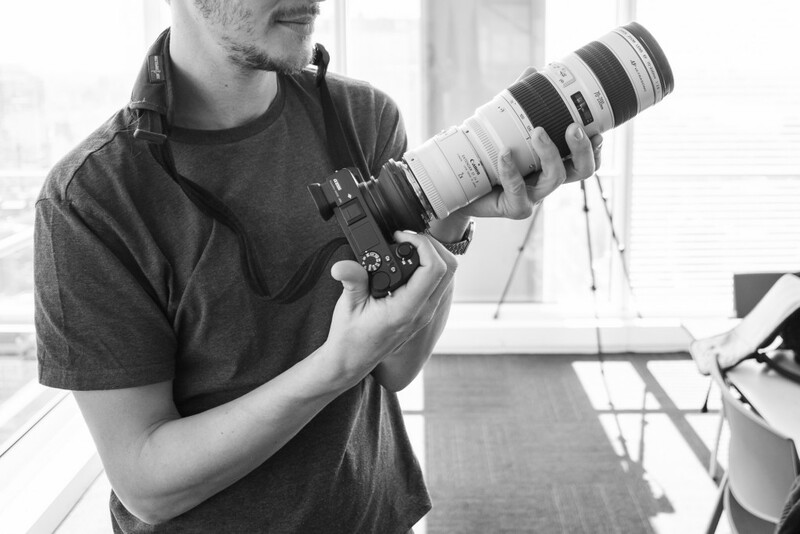 I used mirrorless camera’s from Sony and combined these with canon lenses, I put them together with a piece of rubber glued on Sony – and canon attachments on either side. This way I was able to cover many different angle’s on the city. From 16mm (wide angle) until 640mm (Ultra zoom). And still be able to carry the camera gear around the city (without collapsing). (here is a picture of the rubber piece and my setup). I also used some of canon’s tilt shift lenses, who came in handy when you are shooting out of a moving subject (metro, ski-lift, helicopter). 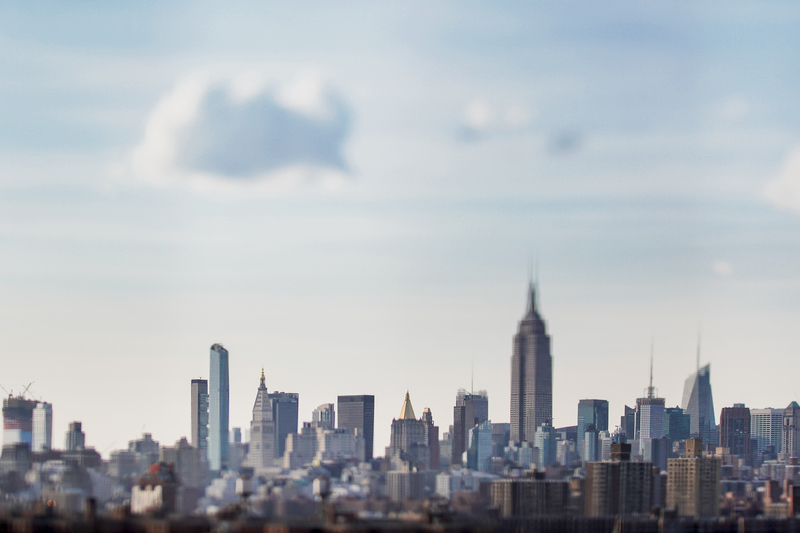 The home made adaptor build just for New York resized worked even better than my regular tilt shift lenses.. In the entire photo book I ‘photoshopped’ about three pictures who were shot from a helicopter or plane. 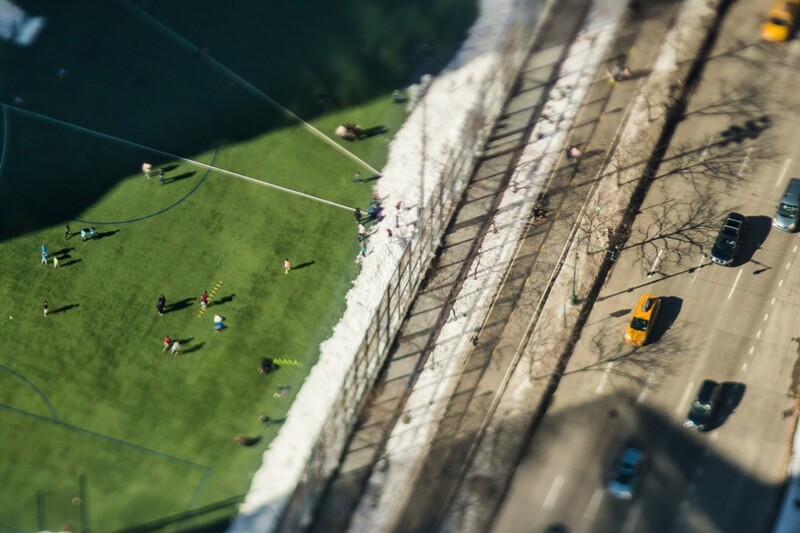 When my plane flew in to New York I had no time to attach my DIY adaptor, so I shot with a regular lens, and “post- tilt shifted” the image. Photoshop, instagram and lot of others provide excellent digital way’s to give the same effect. 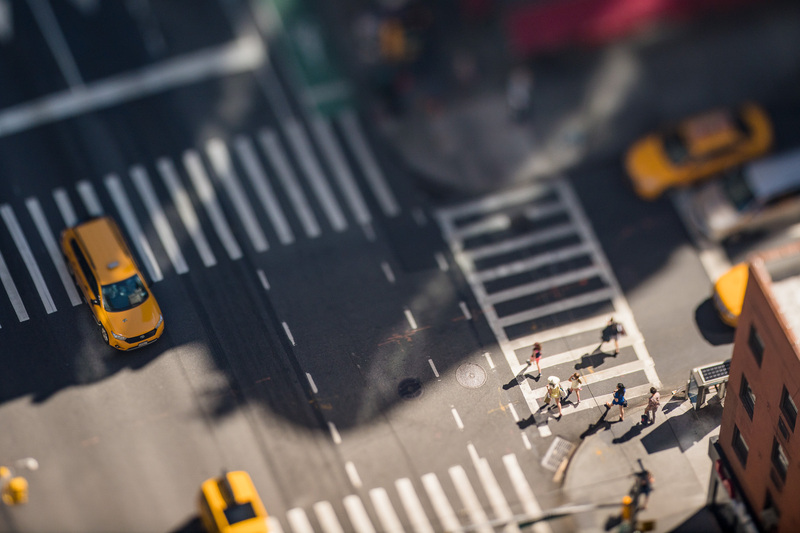 While making this book however, it is much more fun to tinker around with lenses and to see the city trough your camera as a tilt-shift city. In the making of movie, you can sometimes see some ‘wobbly slow motion shot’s’, these were shot trough the rubber piece, and that is how I was looking trough my lenses for this project. Dit bericht werd geplaatst in Uncategorized op 8 november 2017 door jasperleonard. Neat trick! I had been wondering how it’s dkne. However doesn’t the human eye have the same depth of field as a 50mm lens on 35mm film, simply because it has about the same focal length? So that the brain knows about the blurring even without having looked at macro photos? It gets mixed with the effects of stereoscopic vision and it’s not as pronounced as in macro photography, but the basic physical optics is the same, isn’t it? 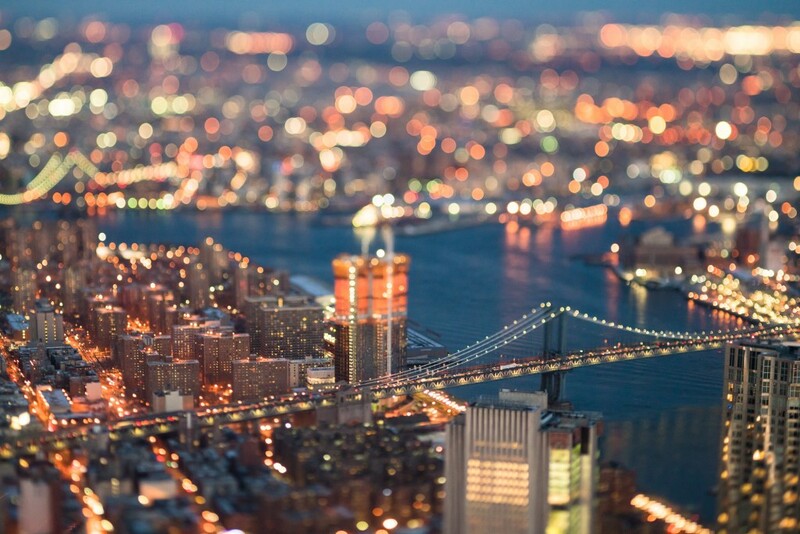 Either way, beautiful pictures and a stunningly different way to look at NYC. Thanks for the reply! you are totally correct, but macro photography makes it easier to explain without going in to technical.